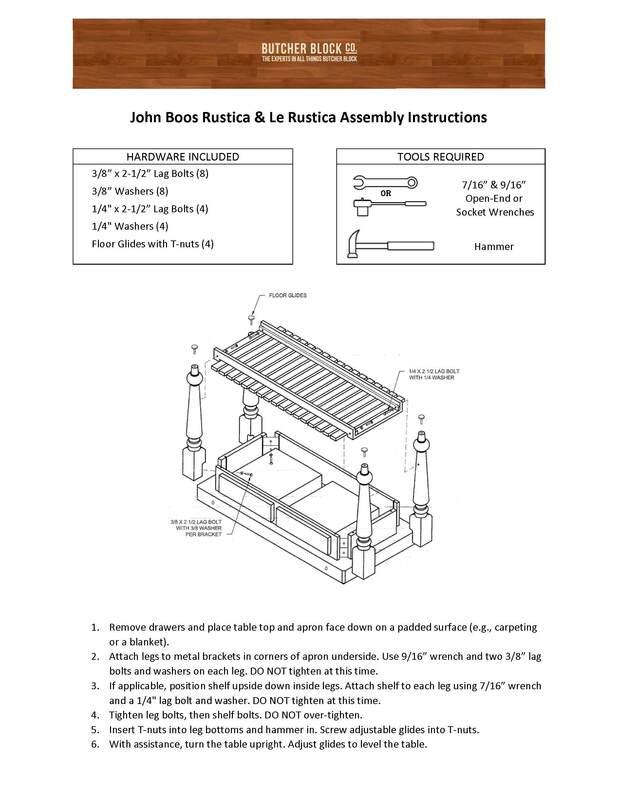 It may not turn you into a gourmet chef, but a Le Rustica in the kitchen will sure help you look the part. 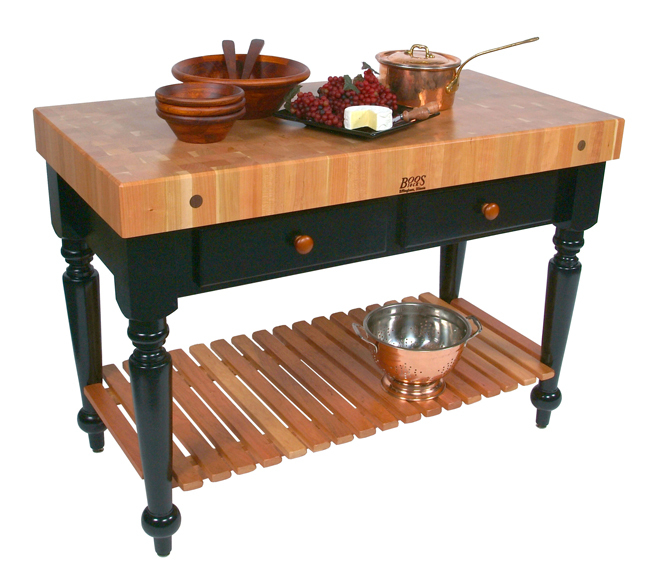 At the very least, you’ll have the benefit of a spectacular butcher block table on which to prepare your favorite dishes. 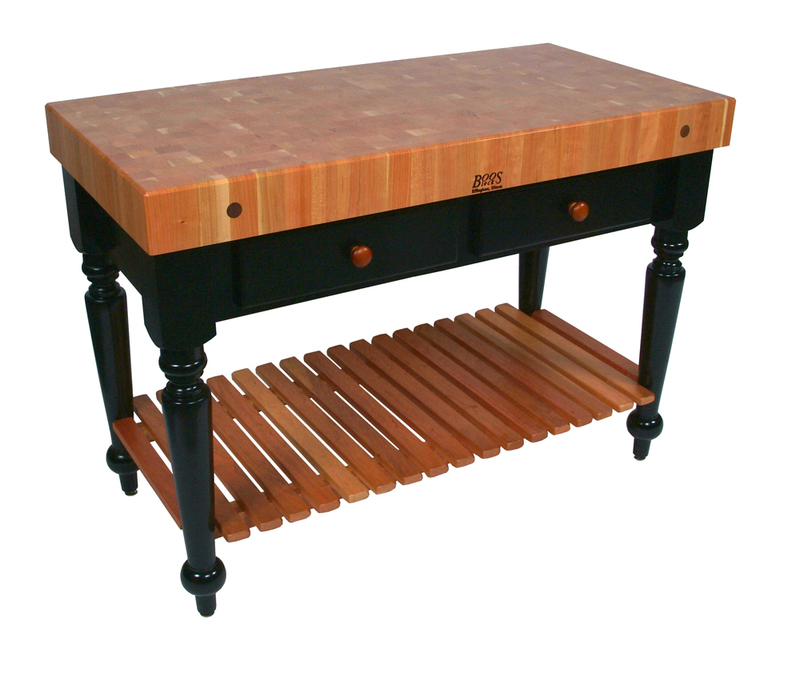 Atop a sturdy table apron and stylish, turned legs you’ll find a solid 4” thick, end-grain butcher block made of genuine American Cherry. Its top is just under 3 feet from the floor, and it comes in two sizes: 30”L x 24”W and 48”L x 24”W. 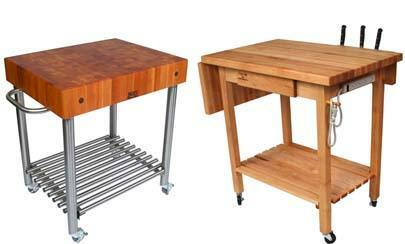 You can chop, slice and dice away on this quality cherry wood work surface. 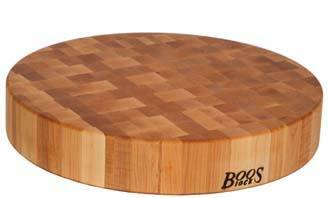 Made using end-grain style construction, it is extra-hardy and able to stand the test of time. 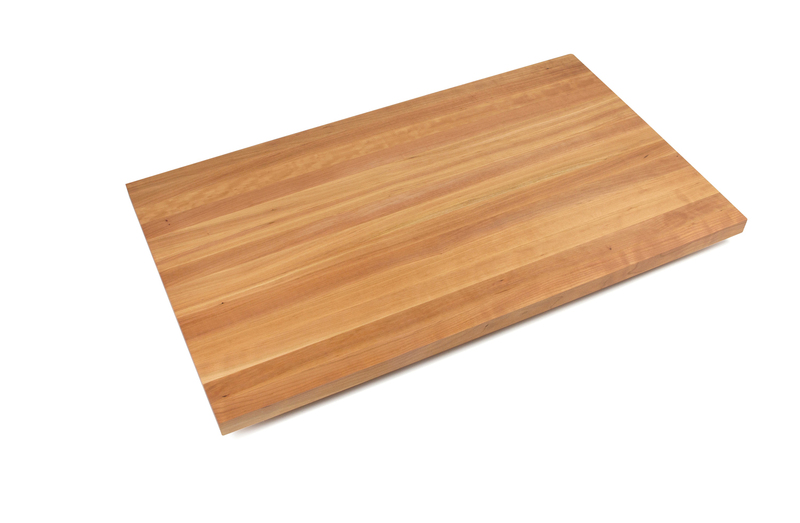 End-grain boards are tough because of the way wood pieces are oriented in their making. They are stood on their ends so that the board takes advantage of the pieces’ collective vertical rigidity. The wood grain exhibited on the block’s surface is what you would see upon viewing a slice of a tree’s trunk. Each individual rectangle would reveal a small cross-cut of the tree’s growth rings. In composite, the board’s surface will resemble an intriguing checkerboard. What truly distinguishes this beauty is its classy, slatted shelf – also made of cherry. 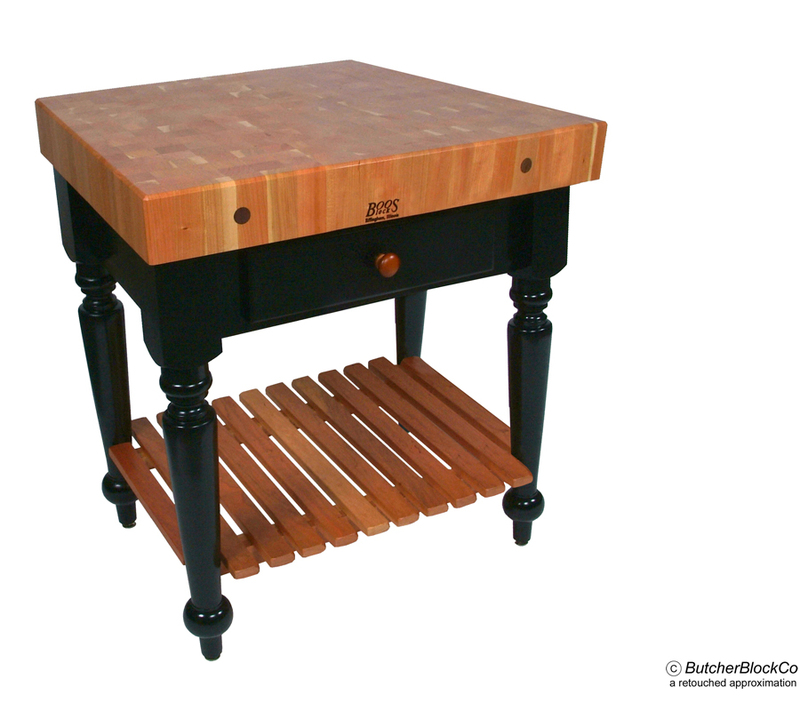 The pairing of natural cherry and black painted woods is stunning, as demonstrated by the basic Le Rustica model. Adding more cherry in the form of a slatted, lower shelf nicely balances the black in between and creates a pleasant sense of symmetry. You’ll be tempted to take advantage of the added shelf space, but torn since you won’t want to hide any of that luscious cherry wood. In contrast, you should have no qualms about filling the convenient utensil drawer(s) almost hidden in the table’s apron. 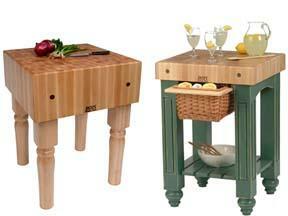 The smaller table comes with one drawer and the larger includes two. Models RN-LR04-SSL and RN-LR04-SSL.